The Brian Gould challenge competition! If you check out our History of Cycling and Racing in the Gully display you’ll see a reprint of an old Messenger article about the Brian Gould Challenge. 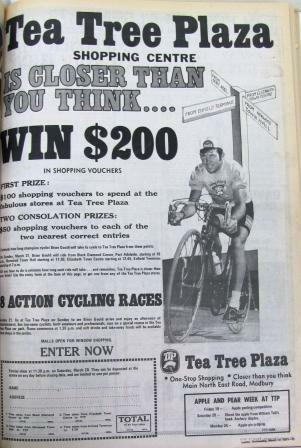 In the 1970s, in an attempt to demonstrate that the newly built Tea Tree Plaza was closer than it seemed, organisers had champion cyclist, Brian Gould ride his bike from various points around Adelaide. People were asked to guess how long it would take and won shopping vouchers for the closest time. For the record it took Gould 34 minutes to get from Port Adelaide to Tea Tree Plaza; 24 minutes from Norwood; 33 minutes from Elizabeth and 17 minutes from Enfield. We thought it would be fun to recreate the Brian Gould challenge, but using four of our regular commuter cyclists and their rides into the Civic Centre and asking the public to guess how long their combined commutes takes them. You can win one of four $50 Standish Cycles vouchers by guessing the time it takes for our staff combined to complete the Brian Gould Challenge and placing your entry in the box in the foyer. The entry with the closest time to the overall time will win. 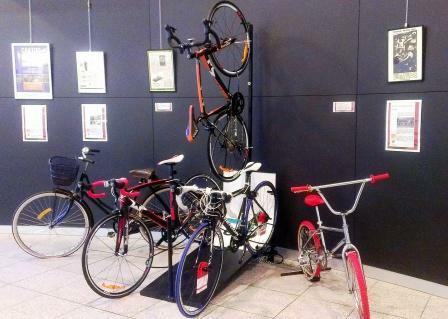 Come on down to check out our display, complete with historic and modern bikes and enter the competition! 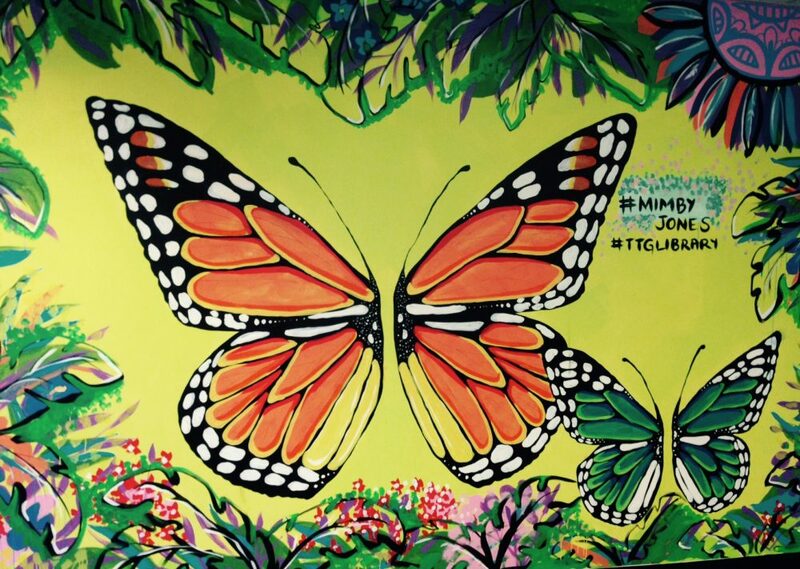 This entry was posted in events and tagged Brian Gould, Cycling, TDU, Tour Down under by Symon. Bookmark the permalink.